India added one more Gold to its medal tally at the 18th Asian Games. In 25m pistol shooting, Rahi Sarnobat of India clinched gold medal for the nation. With this, she became the first Indian female shooter to win gold at Asian Games. Rahi’s medal is India’s second gold medal in shooting and 7th in overall medals at the Asian Games. It was a nerve-wracking fight between Indian shooter and Thailand’s Naphaswan Yangpaiboon. It was thrilling finals. This 27-year old shooter scored a total of 34 and then had to battle it out in two tie-breakers against Thailand’s Naphaswan Yangpaiboon to finally win the gold. In the first shoot-off, Rahi and Yangpaiboon shot four out of five shots. In the second shoot-off, Rahi shot three while her opponent finished at two. 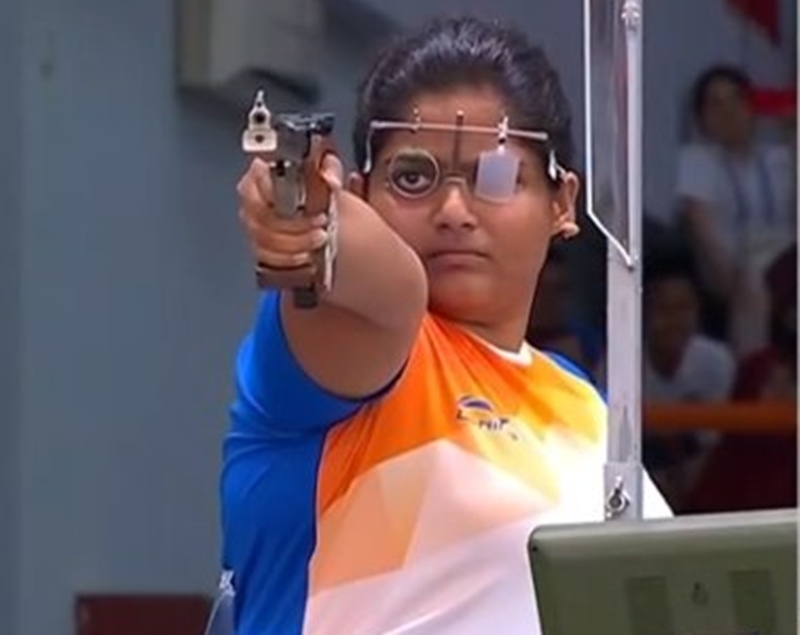 After this, Indian shooter confirmed her Gold while Silver went with Naphaswan Yangpaiboon. South Korea’s Kim Minjung finished at third and won Bronze medal. Hails from Kolhapur, Maharastra, Rahi is 27-year old. Her inspiration is fellow Maharashtrian and 50m rifle prone world champion Tejaswini Sawant. Rahi had previously won gold medals in the 2010 and 2014 Commonwealth Games. She also won Woerld Cup in 2013 and who had become India’s first pistol shooter to win the event. Rahi has taken training under Munkhbayar Dorjsuren, a two-time world champion and Olympic medalist from Germany.